Perched on a limestone cliff-top plateau overlooking the majestic Indian Ocean, Hotel Alila Uluwatu provides one of the most pristine, breath-taking views Bali has to offer. The winner of World’s Most Beautiful Swimming Pool 2017, their main infinity pool is a unique feature along with every villa housing a private pool and ocean views. From relaxing at the beach, which is only a 15-minute drive away, to playing golf, with ocean winds playing a huge role, Alila Uluwatu offers a wide range of journeys. Its three dining options are extremely different from each other, ensuring a wide range of cuisines to choose from. Alila Uluwatu assures to spoil its guests with comfort and their very own personal butler service which deserves a mention on its own. 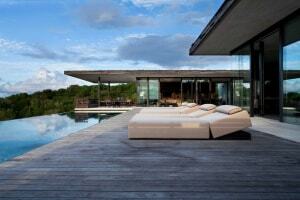 Contemporary style set on a cliff with Indian Ocean view. With an option of dining indoor or outdoor, The Warung offers traditional Indonesian cuisine for guests to bite into. A sophisticated, yet welcoming, vibe surrounds the restaurant, allowing guests their privacy or the choice of socializing in the communal area. With signature dishes and delicious cuisines, The Warung is a unique dining facility at the Alila Villas Uluwatu. With panoramic views of the Indian Ocean, Cire offers international cuisine that includes some familiar favourites, especially from Asia. Using local organic produce, Cire offers gourmet comfort food for guests in a casual outdoor setting. Quila translates to ‘he who transforms’. Quila is the exclusive setting for a thrilling dining experience. The menu is tailored every day Chef Marc Lorés Panadés, offering powerful flavours and unique surprises. Dinner at Quila is a unique experience allowing guests to truly explore the taste of the scrumptious dishes from the European cuisine with every bite. At Spa Alila, the luxurious spa offers a contemporary spin on ancient Asian healing techniques and age-old beauty recipes that feature the benefits of fresh, natural, quality ingredients. Indulge mind and body in a heartfelt and surprisingly different Alila’s luxury spa experience. Kindly reach 15 minutes in advance for your spa consultation. Alila Uluwatu houses an infinity pool where guests can relax and unwind either by taking a quick dip or just lazing around on the many lounge chairs. Surrounded by panoramic views of the Indian Ocean, the outdoor infinity pool is perched at the edge of the cliff to offer the best experience of rejuvenation. Kindly ensure that you are in appropriate swimwear before you enter the pool. Keep yourself fit and refreshed with the resort's well-equipped gymnasium which includes treadmill, stationary bike and free weights. As natural sunlight streams in through the massive glass windows, enjoy a rejuvenating workout with panaromic views of the garden and the Indian Ocean in the distance. 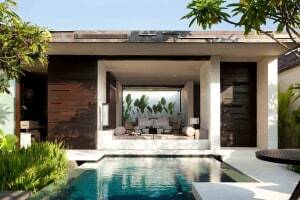 Alila Uluwatu is a non-smoking property. Smoking is not allowed anywhere on the property. All children are welcome, however, there is no capacity for extra beds in any room. In accordance with local regulations, all visitors must remain within the hotel property during Seclusion Day/Hindu New Year on March 7, 2019. Check-in and check-out will not be possible on March 7, 2019.